LeBron James' first season with the Los Angeles Lakers didn't go so well on the court. 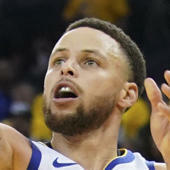 He missed over a month of action after suffering a strained groin on Christmas, and played just 55 games, the fewest of his career. Meanwhile, the Lakers fell apart after the All-Star break and missed the playoffs amid all sorts of trade drama. Since then, their president of basketball operations, Magic Johnson, has abruptly resigned, and the team parted ways with head coach Luke Walton. Early heroes will mold a person's future. LeBron has justified the adulation of millions and millions of young people, thanks to his ability to live up to enormous expectations on the basketball court, his business successes in Hollywood and media, and his new I Promise School for disadvantaged kids in his hometown of Akron, Ohio. That adulation will make a positive difference in their lives. And you know what else is exciting? As great as he has been so far—on and off the court—you're just seeing the start of LeBron. LeBron was the only basketball player to make the list this year, and one of just five athletes, joining Liverpool star Mo Salah, newly crowned Masters champion Tiger Woods, American soccer star Alex Morgan and South African Olympic hero Caster Semenya. As Buffett noted in his piece, LeBron's landmark achievement over the past year was the opening of his I Promise School in his hometown of Akron, Ohio. LeBron called the opening of the school "one of the greatest moments of my life," and it just recently made headlines for the fantastic results its achieved in the first year of schooling.